Gold + Golden MACD is a suitable system for trading currencies. This strategy can also be used as a good filter system for trend following indicators or momentum arrows. 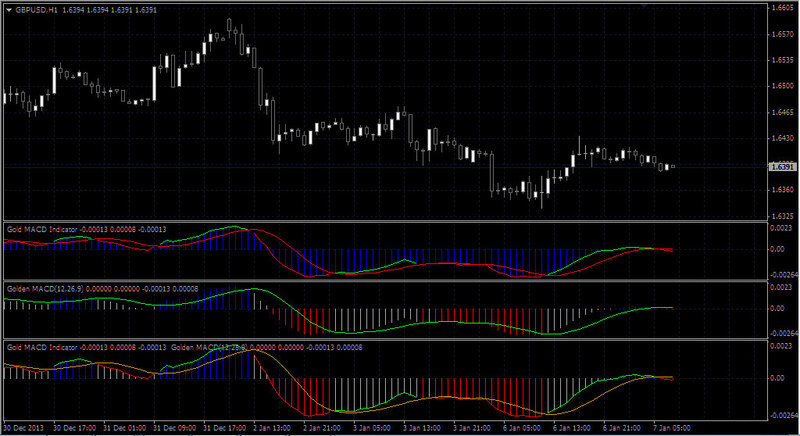 In the picture i show as the MACD golden template filters the momentum arrow and trend arrow. This template can filter all arrows that you want. Golden MACD + God MACD green line. Golden MACD + God MACD red line. Gold + Golden MACD as filter in the examples with Asctrend and Signal Mantapaz. In the pictures Gold MACD + Golden MACD in action.